Custom Homes & What’s Shaping The Industry. Buyers are more informed than ever before, largely because of the popularity and quality of cable television shows on HGTV and The Travel Channel. Increasingly, buyers come to the table with ideas and are looking for solutions. Well-informed buyers are now looking for an affordable, sustainable way to have something that they saw on television recreated in their new home. This is found quite often in the custom built homes industry. Buyers tend to know more about materials and potential features than ever before. However, they still tend to request interior design and layout expertise, according to HousePlans.com. Today, both young and older homeowners set out to find custom built homes that fit the entire family. No longer content to simply host large families over the holidays, prospective home buyers want to build homes that accommodate extended family. More recently than in the last several decades, young families see the benefit of living in a multi-generational home. In 2016, a record 60.6 million Americans lived in a multi-generational home (source). Researchers expect this number to increase. In some cases, younger mothers can go to work while keeping the children at home with a grandparent. In other cases, as people retire, they desire to live closer to their children. If the location is desirable for the entire family and the home is large enough, a multi-generational home makes sense. Characteristics of multi-generational homes include single story floor plans or an accessible floor plan, several master bedrooms/en-suites, and rooms that can serve multiple purposes as the family changes over the years. People looking at custom built homes tend to prefer the flexible, open floor plan. Open spaces create the opportunity to use a single space for any number of purposes, from working from home to a holiday party. Using flooring, rugs, large-scale furniture, decor, and even multi-level ceilings, designers and homeowners can manufacture a feeling of separation when needed. The open floor plan allows for the expansion or closing off of a space without the necessity of walls. Light spreads more quickly through the home, reducing the use of electricity for both lighting and heat. In addition to light and space, open floor plans tend to be more accessible that homes with several small rooms separated by walls and doors. Open floor plans resell, too, which is something to consider when putting together a design for a custom built home. Like specialty flooring or high-end appliances, the floor plan itself has extensive resale value. 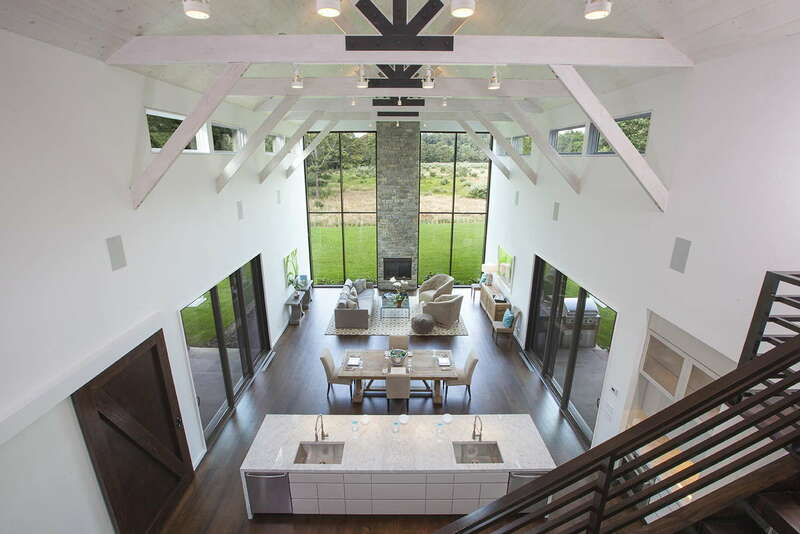 Walls of glass continues to top the list of rising trends in custom built homes. Designers accomplish this trend in several different ways. Groups of smaller windows together create a structured, geometric appeal while a large sheet of glass (a glass wall, essentially) creates a dramatic, stunning connection to the outdoors. Energy efficiency may be one factor causing the swing towards more windows. They also let in tons of natural light, making small spaces look bigger than they actually are. When a space feels more expansive, it also feels more luxurious. Designers can utilize large windows in bathrooms and bedrooms to create a look of luxury. Large windows and plenty of light have always been of interest to homeowners, but until recently, they simply weren’t as available. Shipping large sheets of glass was so cost-prohibitive that most homeowners couldn’t afford it. Because the industry has shifted a bit and made creating, shipping, and installing large windows and viewing areas easier and less risky, they’re more accessible to those looking at custom built homes in an affordable price range. Modern and technologically advanced garage doors, such as those that “glow,” are among the fall 2017 custom built home trends. Custom Home Online reported that all 116 homeowners in a small residential community in Lancaster County, PA requested upgraded, glowing garage doors. 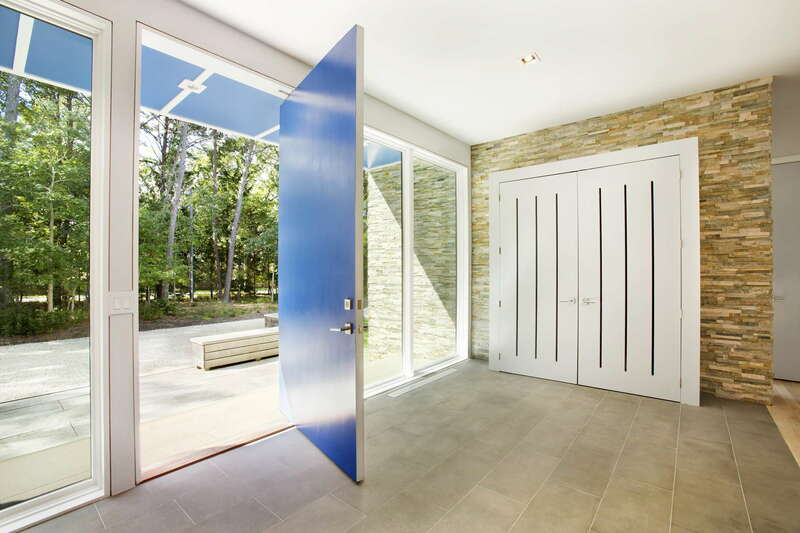 The doors are made of small squares of backlit frosted glass panels. At night, the glass panels appear to glow, creating an artistic, interesting focal point and accenting the home. A company called Haas Door makes the popular garage doors, which generate curb appeal and undoubtedly improve resale value. Glass garage doors bring a contemporary and updated feel to a home even when they aren’t glowing, which is why they continue to be a top trend in 2017. Other trends include wood (which is making a comeback), screened garage doors, and garage door insulation. The ultimate challenge to today’s bathroom designer lies in bringing together an increasing demand for a spa-like bathroom with a demand for water and energy efficiency. Low water use toilets have increased in demand over the years, but other ways of creating efficiency in the bathroom exist, as well. Faucets, showerheads, and heated floors (as opposed to using lots of forced air) make the cut in terms of energy efficiency. Tankless water heaters present yet another option to save energy in the bathroom. At this year’s International Builders Show in Orlando, speakers suggested that younger homeowners like to cook more than baby boomers, who enjoy eating out, according to HousePlans.com. As a response to that shift in lifestyles, homeowners request two workstations in the kitchen. Two workstations provide space to move around freely and enjoy the cooking experience together. Trends include at least two sinks, additional range burners, work spaces for cutting and prepping, and shared access to the central items such as the refrigerator and range. Modern barns and farmhouses also top the list of 2017 custom home trends. The Modern Barn homes combine luxury and practicality in a traditional barn structure and luxurious, contemporary interior. With space for both immediate and extended family and friends, The Modern Barns are ideal family homes. View our portfolio to see a sample of these stylish, trademarked designs. Or, contact us today to discuss building your own, original Modern Barn.